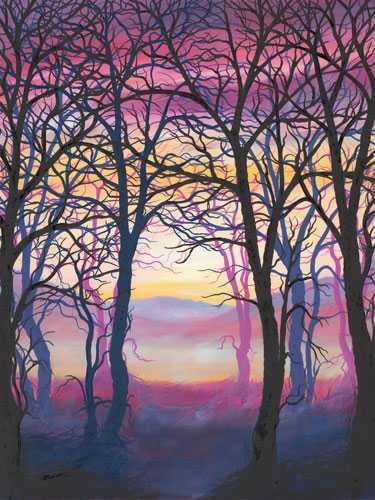 This painting was inspired by my fascination of light and weather observed through trees in the French Alps. The colours chosen aim to create an evening setting. It is available as a canvas wrap, half original size, for £90.